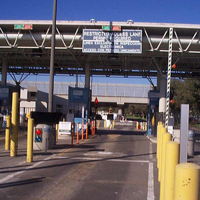 The U.S. Customs and Border Protection (CBP) agency has installed an RFID-enabled Ready Lane at the San Luis, Arizona border-crossing station, according to a local news story. The single lane will be open between 6 A.M. until 12 A.M. enabling anyone with RFID-enabled travel documents – the U.S. Passport Card, new Legal Permanent Resident “green card” and the new Border Crossing Card – to enter the country. Initially, the CBP has only the one lane open. And depending if enough people who are regular RFID-type document holders pass through, then the agency could add more lanes to the Ready Lane program. Border crossing officials hope to get the word out, so more people will get RFID documentation and help move border traffic along more quickly.